I have visited a few churches of this size as the first time visitor. At the time that I’m updating this post in 2019, I’m attending one that has near 4,000 members and guests on a Sunday, and the holidays of Easter and Christmas swell to 10-15 thousand. This gives me a first hand experience of how a church of this size could identify church visitors making their first visit. 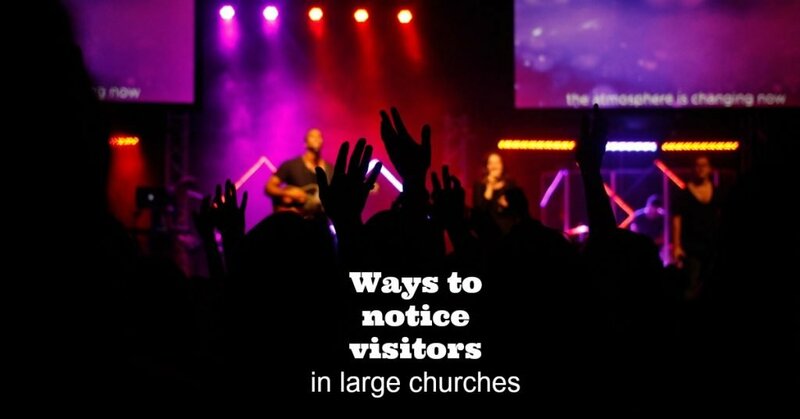 Because of the church size and the amount of people going here and there, looking for coffee, looking for the guest information booth, taking kids to the children’s ministry, locating bathrooms, it can be hard to detect a first time visitor in the crowd. In a crowd this size, anonymity feels safe, expected and normal, in contrast to being in a church of 100 people where we would feel obvious as a visitor. 1. Greeters and ushers should learn how to read body language. In the last place I visited, the greeters and ushers made sure it was easy for us to get to our seat. This helps with a great first impression and allows your guest to relax and enjoy. They didn’t appear stressed over making small talk with us. Making small talk while 2500 people are entering/exiting is not really ideal. That makes it hard to conversationally identify church visitors. Instead, a key skill for greeters and ushers is to read body language to discern if they are looking at a first time visitor. walking slowly, as if they are absorbing too much information. looking bewildered or confused because they can’t find something. I’ve spent a lot of time watching crowds of people and these body language clues fill me in on those who are first time visitors. 2. The easiest way to identify visitors is to give them CLEAR ways to volunteer that information. The only way for us to be easily identified as visitors would be to volunteer that information. Fill out a visitor card and put it in the offering. Visit the welcome center or next steps center after the service for a free book. Take our child to children’s church and fill out the registration form. We chose to fill it out and turn it in at the welcome center. The welcome center was well staffed, including the preaching pastor, and everyone was engaged in a conversation with a visitor. On our second visit, we allowed our child to visit children’s church. We arrived late so we were the only ones at the registration table. They have a security system in place with wrist bands to match up the right child with the right adult after church. There we met the children’s director, who make small talk with us while we were filling out their form. Our congregation is way smaller than these two large attended churches. We have appointed members at the doors who will recognize visitors and greet them with a small folder of information, a visitors card to fill out so we can send them a card, a business card with phone numbers and a printed BIC Clic Pen with also a phone number for a Daily Bible Message. 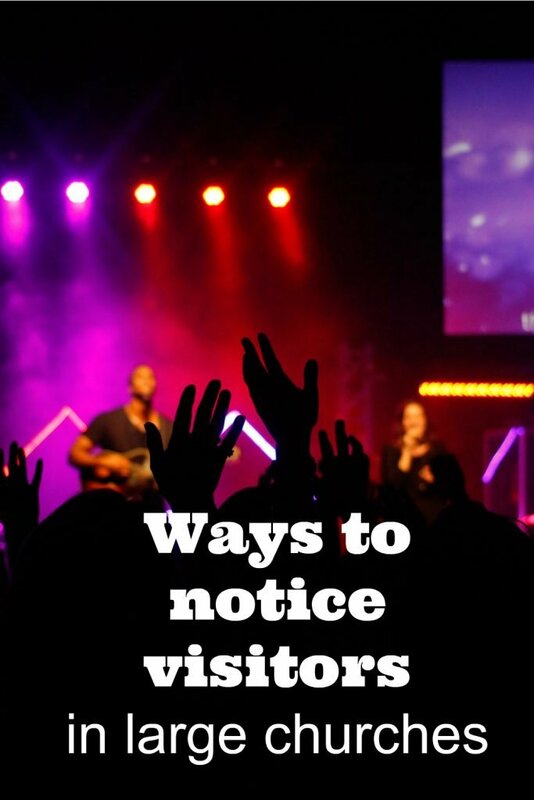 What are some ways you identify visitors to your church? This depends in part on the culture of the church. For example, I was on staff at a church that averaged 2800 every weekend. It was in a small community (~30,000 in the city, ~80,000 in the County) that featured a laid back, informal vibe. We created that same vibe in the church with a view to appealing to men. Our men were comfortable wearing shorts and sandals to church, and it was fairly common to see folks carrying water bottles and coffee cups into the sanctuary. When a family (or an individual) would visit and the man had on dress shoes and a pressed shirt, chances were 80% that these were visitors. We had rovers stationed around the property to look for visitors. 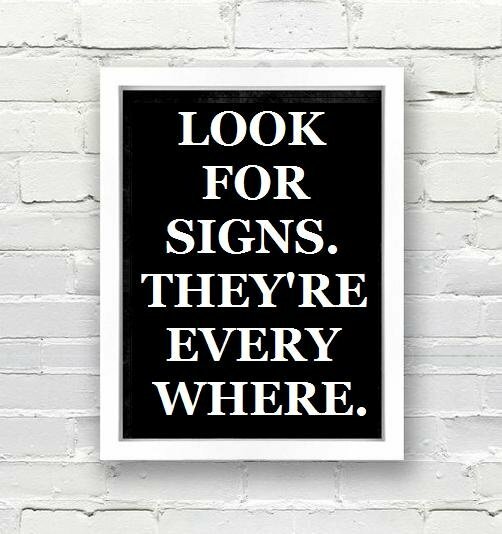 They got good at spotting them by noting who looked at the campus map, who looked at the signs and who gave other indications of not being familiar with the place. You won’t catch them all, no matter what you do. But with a little training and a little discernment you can catch a lot of them. Indeed, it does. Thanks for your comments. I’ll keep adding more as they come in.